Perhaps at no other time than during pregnancy is it more important to guard your physical health. After all, many of your baby’s outcomes are directly related to how you care for yourself just before and during your pregnancy. If you are already exercising, keep up the good work. If you think it is too late to start an exercise program because you are pregnant, think again. Now is the perfect time to get moving. The key is to choose activities that are appropriate for your pregnancy stage and level of fitness. A few to try are listed below. Consult your doctor before beginning any exercise program. Prenatal yoga is a great way to care for yourself inside and out. The gentle stretching and breathing exercises can help relieve anxiety and even reduce back pain. 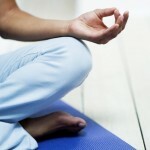 Some studies have shown that yoga may also reduce nausea. Many communities offer pre-natal yoga classes. If you choose a general yoga class, be sure the instructor knows which poses should be avoided at your stage of pregnancy. Walking is the perfect exercise at any time. It is something you already know how to do and no special equipment is needed. Don’t go through your pregnancy at the mercy of mood swings. Get moving and watch the blues blow away. Walking relieves tension, improves mood and gives you a leg up on oxygen use. Just 30-60 minutes of walking most days can help your body process and use oxygen more efficiently. – Monitor your body for any signs of distress or discomfort. Always err on the side of caution and stop if you have any concerns. Pregnancy is not the time to restrict calories or subject your body to too strenuous an exercise routine. Your goal with pre-natal exercise is to help you and your baby be healthy and feel your best. Enjoy exercise as often as you can as a proactive part of pre-natal care.